A term used in the 17th through the 20th century for the horn. The name comes from the British preference for the hunting horns produced by the French instrument makers of the late 17th century. The French makers developed the round coil that the horn has today. The British made a distinction between the French horns and the German horns, and eventually, all horns went by the name of French horns in the English speaking world. 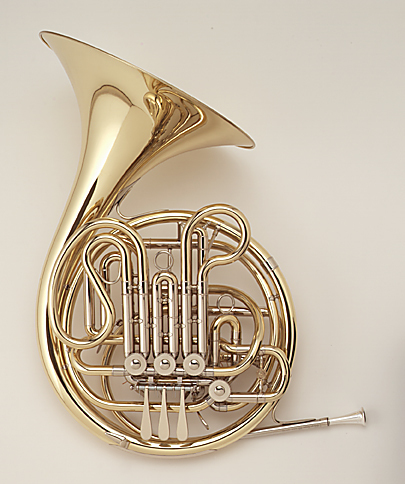 Although still commonly seen on sheet music for concert bands and (especially in English speaking countries), the term French Horn has gone out of favor. In 1971 at the first general meeting of the International Horn Society, the organization officially reccomended that the instrument be referred to as the horn in the English language. Camille Saint-Säens: Samson and Delilah, "Bacchanale"